In Miami on April 27, Beyoncé's Formation World Tour tour kicks off, and, given that the world has lost literally all it's Beyoncé chill this week, you know it's going to be a completely epic night. The music and the dancing will be, as per usual, flawless, but it wouldn't be a Beyonce concert without next-level costumes. According to these potential costume sneak peaks, it looks like the show is going to include a whole lot of bodysuits. But I mean, duh. What else were you expecting? 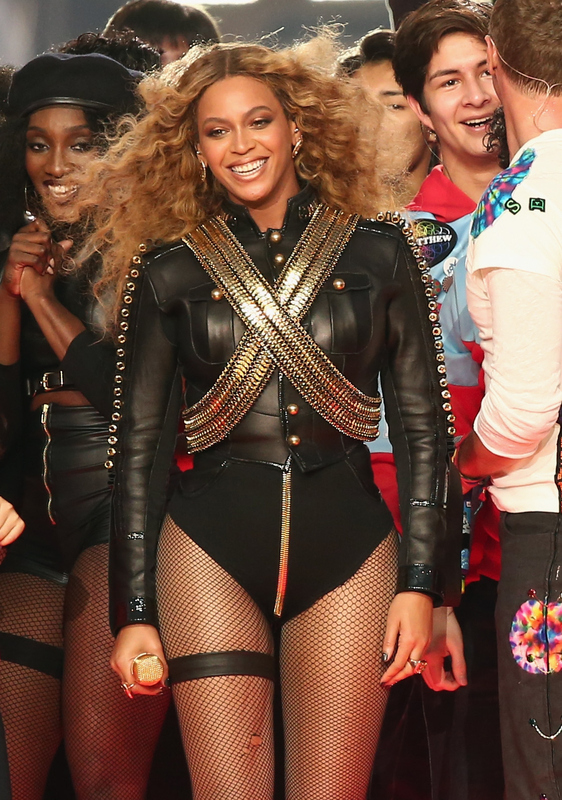 Beyonce is a lot of things, but fashion icon has to be close to the top of that list. She never lets us down, her outfits — whether at an award show, on stage, or street style — are always statement making and fashion forward, and she always goes all out. If you've seen any of her tours before, you know her costume game is strong, but given all the hype around "Formation" right now, I think this tour might be one of her best, style-wise, yet. He's not saying who it's for, but let's be real — does this look like Beyonce, or does this look like Beyonce? Thought so. Here's to plenty more amazing bodysuits that are sure to hit the stage.